What Would Music Be Like Without Change? Although most would probably say they don’t like change, the fact is that we need change and are designed to change and benefit from change. 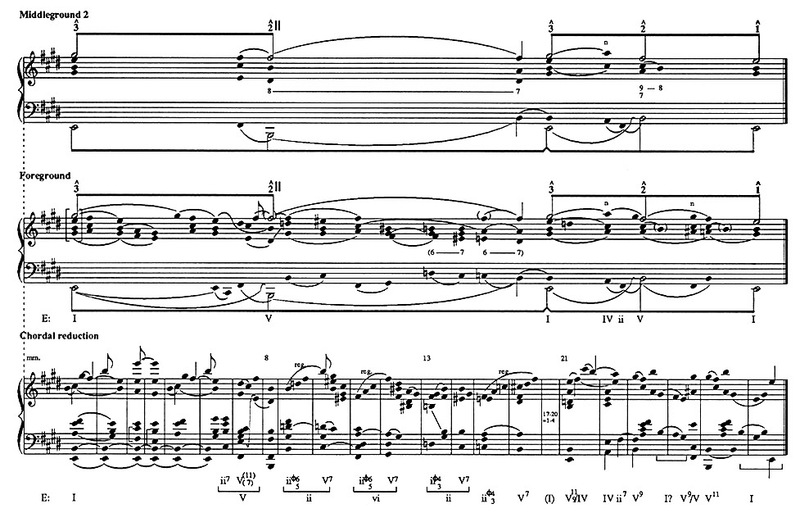 This can be clearly seen if we consider minimalist music. When a minimalist piece begins, it has our attention, because what we hear is a change from not hearing it a moment ago. As the repetition continues though, we begin to take it for granted, while hoping and listening for something to change. When it does, we are gratified, refreshed, and our interest in the music is renewed. As the music goes on, and we long for another change, we begin to notice more subtle changes, because now we are focused on change. We naturally overlook things that stay the same, and notice things that change. Think of sitting in a quiet place where there is little sound and movement, and./or constant sound and movement. We do not notice anything in particular until something changes. We instantly notice the sound of a door closing, or the motion of a paper falling to the ground off of a desk. Evolutionists will say that we notice these changes because they must be tested as possible threats to our safety. Once we realize, even in a fraction of a second, that there is no danger, we return to a state of relaxed indifference to our surroundings, until something else changes. When music changes, it arouses this alert response in us, and that is why we feel aroused and excited, even agitated by music that surprises us. Loud sounds are initially understood as a threat, and so startle us. Quiet sounds arouse curiosity and caution. These are involuntary responses, so even though we know music does not pose a threat, our threat response system reacts anyway, and we experience the “high alert” as exciting experiences with music. Without these reactions, music would be dull and uninspiring. That is why the best composers skillfully balance repetition and variety, or change. The repetition lulls us into a calm repose, and the change rouses us out of our relaxed state. No where is this more plain than playing music for children that has a surprise in it. In thirty years of teaching, I have never played the “surprise” movement of Haydn’s “surprise symphony” without seeing a response of giddy delight on the children as that bombastic chord jumps out of the quietest of passages. Even when they know it is coming, it still has great affect. Now contrast that to the pedantic drudgery of drilling the first few pages of an instrument method book. The songs are each comprised of one pitch, repeated on one rhythm, a whole note, each separated by a whole rest. Change is nowhere to be found, and the emotional delight that gives us all reason to want to make music is entirely missing. These early days of instrument lessons need to be recharged with change. An instructor can change dynamics, articulation, tempo or even instrumentation if the class is grouped heterogeneously, to create variety and change, and even to surprise the young musicians so that a spontaneous and emotionally charged response is enjoyed. Listening to music, even popular music which tends to be highly repetitive, can be more exciting by directing listeners’ attention to what is changing in the music. There is the form. Some students will be so focused on the rhythm and beat that they will overlook changes from one section of the song to the next, or changes in instrumentation or backing tracks. Musicians and their producers know the value in change, even in a highly repetitive musical form, and embed changes, however subtle at times, into the recorded music. Students can learn about musical form and production while learning how to enjoy their music more by practicing perceiving these aspects of songs. This type of listening can then carry over into art music, opening up greater understanding of the classics as well. While too much change is confusing to anyone, a good balance of change and repetition in our presentation of the music we teach with will increase student interest and enjoyment. 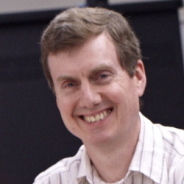 What Is An Effective Approach to Teaching Sight Reading? One of the perennial challenges for music teachers seems to be teaching sight-reading, particularly to older children who have not developed music reading skills at a young age. Music teachers often believe that students will get better at sight reading by practicing sight reading. This is true if students already know how to read music, and are trying to improve on what they already can do. But students who cannot read music, or are poor music readers will only practice poor reading and poor reading habits if they are sent off to practice. Music teachers must always equip students to practice before asking them to do so. With this in mind, I have some things students should be able to do before they simply go off and practice sight reading. First, musical notes represent sounds, not fingerings. If you are teaching a musical instrument, require your students to sing what they are about to play before they play it. Even if they have to sing at a slowed tempo, auditing the pitches before playing them will be a tremendous help. I once tried an experiment with two beginner fifth grade trumpet classes. For one class, I taught them solfege and required them to correctly sing with solfege syllables every line of music before they played it. With the other class, I did not teach them solfege or require them to sing, but just had them play the music. Both classes used the same method book, and had the same instructional times. The result was that the class that sang was four pages ahead of the class that did not sing by the December concert. Since then, I have found that singing consistently advances students faster in their instrumental music studies. Singers need to separate themselves from pianos. It is my opinion that singers rely far too much on a piano to learn their music. As a result, much of their repertoire is learned by rote, with little audiation taking place. Reading music must involve hearing tones in the imagination where none are physically present. Practicing sight reading must include producing physical sound from the written note, with no help from another sound source. Tuning can be checked with an electronic tuner to avoid inadvertently going flat or sharp. Second, Western tonal music is composed within the context of tonic-dominant harmonic relationships, and of isometric patterns. The natural stresses that are applied by harmonic functions, metrical placement, note duration, and consonance and dissonance are all integral parts of the musical experience. When musicians read music, they must do so in conformance with the written rhythms, meters, beats, and patterns of tension and release that grow out of the rhythmic and harmonic contexts. It is not enough to sing the correct pitches and rhythms, though even this is too often not accomplished, but they must be inflected and interpreted in such a way that the hierarchical structure of Western tonal music is perceptible. The singer or instrumentalist must stress the appogiatura or suspension, must build tension approaching a cadence and release it on the resolution, must realize the subtle but crucial difference between the downbeat of a weak measure and the downbeat of a strong measure, must understand that there are many levels of beats present in music, from the division of the ictus, to the beat of the onset of each four-measure phrase. These are all elements of good music reading, and making them part of what is practiced when sight reading is practiced makes the experience more musical and less pedantic. Sight reading must be about more than pitches and rhythms, because music is much richer than that. Third, anything that is written represents something that exists in the physical world. The world apple represents a particular variety of fruit. The word is not the fruit, but refers to the fruit, and is the name given to the thing that exists in the physical world that we know to be an apple. A note on a musical staff is not a color, picture, number, or even a solfege syllable, for those are just names for the representation, not the thing itself. The thing itself is the sound–that is what the written note represents. 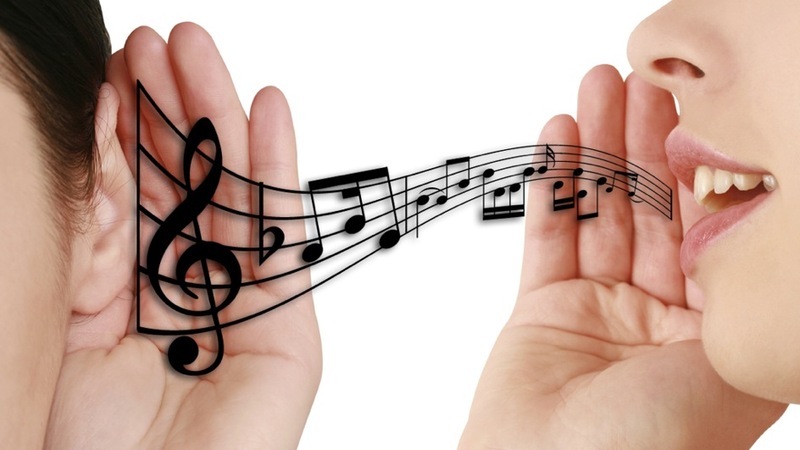 Regardless of what strategy or method is used to teach music reading, ultimately, the written note must be associated with the heard sound, and the student must be able to make the sound so that it is audible in response to seeing the written representation of it. This, I feel, is the step that is frequently overlooked. There is either no sound taught prior to revealing the note, in which case the student cannot know what the note represents, or the sound and written representation are taught simultaneously, which leaves the confused learner to wonder whether the sound represents the written note, or the note represents the sound. We must teach the sound, then the representations. That means sight reading is taught first by teaching the sounds contained in what is to be read, and then associating the sounds which are already familiar, to the notation of them, which is new. That is how sight reading ought to be taught. What is literacy? The word is used across all disciplines, including music, yet I find a surprising range of understandings of just what literacy is. Does literacy refer to just reading? Does it include writing? Must someone be an effective communicator orally in order to be considered literate? Is there any requirement for being able to analyze or respond to a text? Is there a performance component, for which a person must be able to communicate effectively or expressively in public? If we are going to concern ourselves with teaching a population of students to be literate, it is paramount that we know what it takes to be literate, or else how will we know what to teach or when we have succeeded? As we consider this issue, I want to keep practicality at the forefront of my thoughts. People need to be literate not just for literacy’s sake, but for people’s sake, both the one who we want to be literate and the many more with whom our literate students will influence and affect throughout a lifetime of being literate. With this in mind, it makes no sense to be content with someone simply being able to read. Unless they understand the meaning of what they have read, can remember what they have read, (such memories are made of chunks of information that only a literate person can understand) and can analyze, discuss, and evaluate the ideas of what they read and that grew out of it, literacy is of very little value. I would argue that a person that cannot do all of these things cannot be considered literate. Literacy requires at least proficiency in reading, writing, analyzing, discussing, remembering, evaluating, and applying the contents of a text, and a text can be written or oral. Now consider what is too often passed off as music literacy. A child can name notes with letters, and say how many beats different kinds of notes are given, and they are passed off as musically literate, yet most if not all of these same students with top grades on their music worksheets cannot sight-sing, cannot sight-read, cannot improvise within a given tonality and meter, cannot discuss or analyze a musical work beyond a few words of liking it or not liking it. 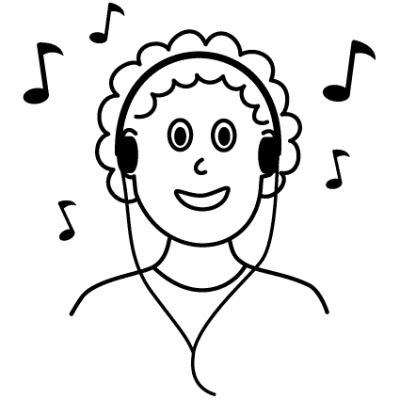 These students, good at note naming though they may be, are not musically literate because they cannot hear music in their imaginations from reading the notation for it, and they cannot hear music in their imaginations and then give voice to those thoughts through singing or playing a musical instrument. Imagine not being able to think of words. What would one say? How would one get on if they could only name the letters contained in words, but could not pronounce the words because no word came to mind when they looked at language? Such a child would never be called literate. The bar for musical literacy should be set no lower, but sadly often is. Music literacy begins a birth, and its development begins long before a child even knows how to hold a pencil. Through years of listening to music around her, imitating musical sounds with the voice, and with percussive explorations on body percussion, toys, pots and pans or the classic toy piano, (now probably an iPad app), a child learns to be musical with sounds, and learns to hear certain kinds of sounds as musical. Those sounds will vary according to culture and other environmental variables, but the process is the same; hearing, imitating, understanding, and accurately creating and reproducing musical sound. When these sounds are given symbols the child can begin to read and then write music by connecting the familiar sounds to the new symbols. When a literate person writes a note, she knows exactly what it sounds like the moment it appears on the paper or computer screen. There is no going to a teacher and asking for the created music to be played so the child can hear what it sounds like. No, anyone who doesn’t already know what their music sounds like is not literate. Because music does not have explicit meaning as language does, musical reading comprehension is structural, and expressive. Asking a student what she has read in a musical score can only be answered in one of three ways; either the students sings what was silently read, or the students expresses through movement what the music sounded like or what the child felt when she heard it in her imagination while reading it, or the student describes the structure. The first is a recitation, proving the child can read, while the other two are the musical equivalents of “what does it mean.” When we ask students “what did you read,” we are really asking them “what did you hear?” In the first case, the music is not physically present, so the hearing is by audiation. In the second case, the music is physically present, and is what is called in the arts standards responding to music. Both types of response can be gathered as data that substantiates evidence of literacy. As long as musical symbols have no sounds, and no sounds can be put to musical symbols, then there is no literacy in a Western European-based culture. 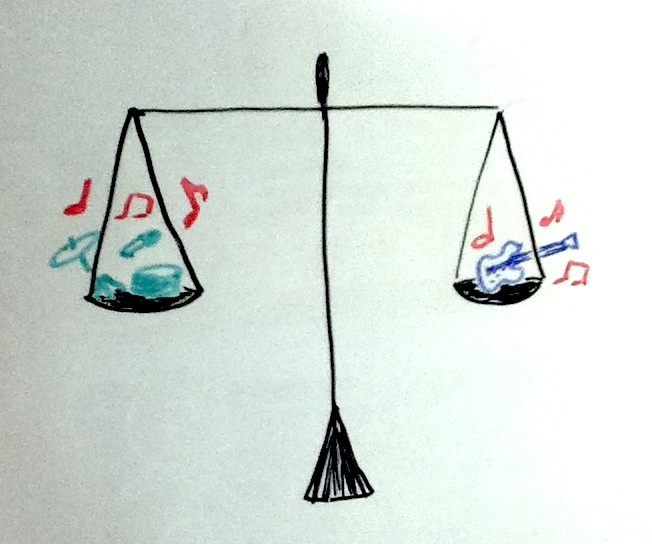 How Do Language and Music Mix in the Music Classroom? As we saw yesterday with rhythm, language and music are closely related so that training in one strengthens proficiency in the other. Although language and music differ in form, purpose, and use, both are highly syntax-dependent. Neither music nor language makes sense if the sounds heard cannot be cognitively organized, and if meaning cannot be found in the structured arrangement of sounds. . 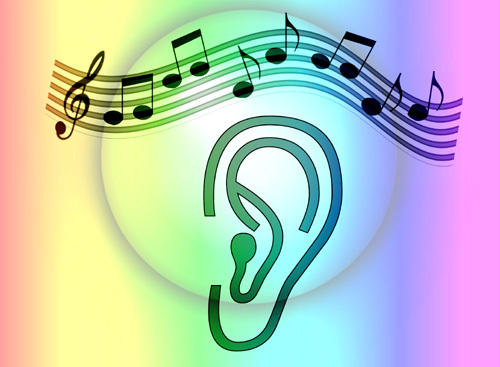 Researchers have found that some of the syntactic processing involved in listening and responding to both music and language is done in the same area of the brain. For both, Broca’s area is involved in the processing. While the differences in linguistic and musical syntax require separate cognitive processes, the integration of stimuli into comprehensible structures relies on the same neural resources. This immediately suggests that music or language activity mutually strengthens the neural connections used for the other. Part of the syntactic processing mentioned above is handling expectation and connecting one event to another. Through proper use of grammar and syntax, language communicates a subject, verb and object, described by Patel as “who-did-what-to-whom.” Music, through syntax but not grammar, communicates patterns of tension and relaxation. These musical events succeed through a composer’s manipulation of expectations, making it possible for the listener to predict what will happen and when it will happen. When expectations are not met, tension results, and when expectation is met, relaxation occurs. This is an important aspect of the temporal nature of music. Language is also presented to the auditory system temporally. Because of this, the human brain must process rapid successions of stimuli, and quickly find meaning in sequences of sounds. Tallal explained that, “Children with language learning problems (or weak language development) can’t sequence two simple tones that differ in frequency when they are presented rapidly in succession. They do absolutely fine when you present two tones separated further apart in time. So the actual precision of timing in the auditory system determines what words we actually hear.” Researchers have found that musicians find it easier than non-musicians to detect small differences in word syllables. Musical experience improves the way human brains process rapid changes in sounds used in speech, and may help in acquiring the skills needed for learning language and reading. Another benefit of musical training to language development has to do with understanding language through noise. Strait and Kraus found that musicians were better at understanding speech in noisy environments than non-musicians. Music listening depends on an auditory process called streaming, wherein certain sequences of sounds are grouped together and segregated out from other concurrent sounds. It is the facility that allows us to have a conversation in a room where others can be heard having other conversations. In music, listeners follow a melody line, and keep it separate from harmony or contrapuntal parts heard at the same time. Just as the mathematical aspects of music are organic to music study and do not require separate instruction, so too with the linguistic aspects of music. All of the benefits to language development through music study are realized during the course of normal music instruction. Just by listening to and performing music, the requisite brain activity will benefit language development. To help this along, ask students to predict what they think will happen next in a piece of music. Ask them what they can do in a performance to build the listener’s expectation of what is about to happen. Ask them to memorize short, quick phrases of music. Make the music slow enough so that it is accessible, but fast enough so that they cannot memorize individual notes. This will cause their brains to remember the music as a group of notes instead of a sequence remembered individual notes, and in the process improve their ability to capture meaning from rapid successions of data. Much of our syntactic knowledge of music is acquired naturally and so does not need to be entirely learned in class. Most students can find the tonic in a tonal song by the time they are in kindergarten. We should draw on this intuitive knowledge with activities that give students practice at understanding and even conversing in music.